Each member receives an Anki Drive. Description: An application that captures processes, searches, stores, or creates a large amount of data efficiently. The best hack that helps meet the world's dramatically increasing demand for food, fuel, shelter, and infrastructure. Salesforce's Most Innovative Use of the Flic Smart Button - Bonus points for integrating Salesforce technology. Here are some potential applications of these technologies: personal communications, telemedicine, e-commerce, and distance learning. Please stop by our table if you have questions, we’re excited to see your hacks! From its inception, HackIllinois has ventured out into the unknown on a mission to build an exceptional and creative hacking culture. Join us on February 19th - 21st, 2016 for 36 hours of hacking, collaboration and fun. Teams’ demos will be judged on several criteria including "Benefit", "Technical Difficulty", "Innovation", "Viability" and "'It' Factor". For more information about judging, please see hackillinois.org/judging. Teams will not be told their scores during or after judging, and decisions by the judges and HackIllinois team are final. Each team is permitted one submission that must be received by 10:00am on Sunday, February 21st, 2016.Code submitted for judging must be produced only by team members and written during HackIllinois from the starting time on Friday, February 19th, 2016 to the submission time. If you are continuing a previous project or using old code written by you, let us know on the project submission form. Third party libraries are allowed without notice provided that they are publicly available to any participant. All code you create at HackIllinois is owned by you, and may be made open source at your discretion. By submitting a project, you and your team grant the HackIllinois team the unrestricted right to use your submission material, at no cost, for promotional purposes of future HackIllinois events. Reinventing the wheel, no matter how awesome the wheel is, is quite banal. Exploration of ideas is a value that we want all hackers to pursue.  HackIllinois is looking for novel hacks engineered from the minds of our creative hackers.